“The test, performed over the Pacific Ocean, will simulate the supersonic entry and descent speeds at which the spacecraft would be traveling through the Martian atmosphere,” according to NASA, which is working to meet its deadline of a Martian landing by 2035. The flight test will be launched from the US Navy’s Pacific Missile Range Facility on Kauai, Hawaii. It is scheduled to begin at approximately 9:30 pm GST (10:30 am PDT) on Tuesday, June 2. The technology explores a new way of slowing down spacecraft once it enters the Martian atmosphere. 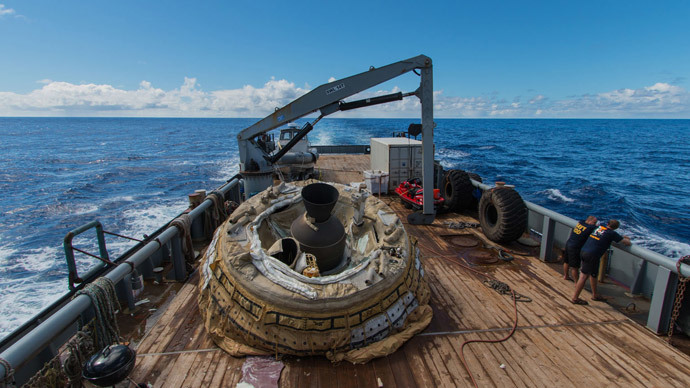 “NASA’s LDSD project is designed to investigate and test breakthrough technologies for landing future robotic and human Mars missions and safely returning large payloads to Earth,” NASA said. The currently employed landing technology has been in use since the 1960s-70s and was used to help the Curiosity rover land on Mars in 2012. The latest prototype is made up of two elements: a flying saucer body and an inflatable tube called the Supersonic Inflatable Aerodynamic Decelerator (SIAD). During the first try about a year ago, the spacecraft was lifted 50 kilometers (30 miles) up into the air by a huge balloon and then accelerated to supersonic speeds by a rocket motor. Then an inflatable tube around the vehicle, made from the same material as bulletproof vests, expanded to slow it from Mach 4 (four times the speed of sound) to Mach 2.5. The next stage was the deployment of a gigantic parachute, 33 meters in diameter, but it ripped apart as soon as it opened. 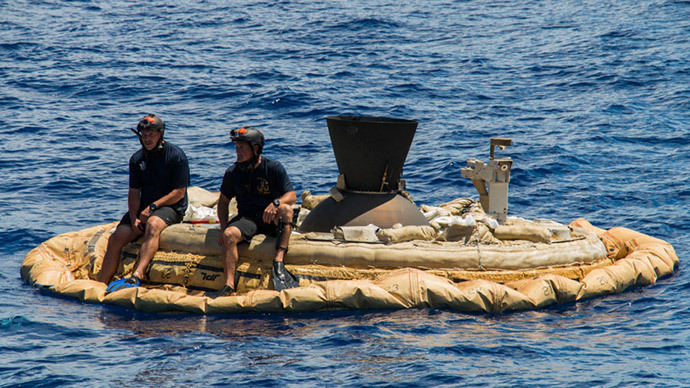 For the second test, NASA has reinvented the LDSD’s faulty parachute. The new model has a new shape, is bigger, and has been reinforced to withstand any tears.